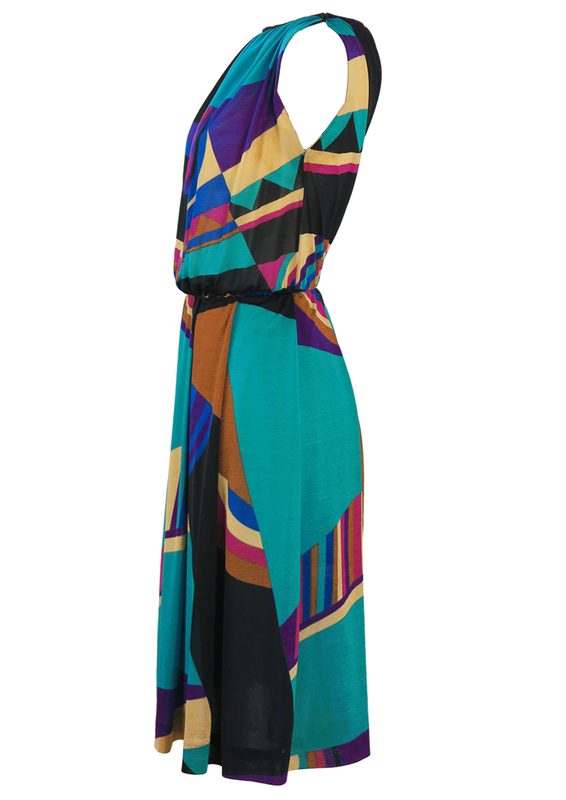 Vintage 1980’s floaty boat neck midi dress featuring a striking Cubist/Geometric pattern in punchy colour blocks of turquoise, black, purple, deep pink & yellow. The upper part of the dress is semi sheer with gentle fabric gathering and due to the extra fabric allowance there is a little more flexibility with the chest measurement. We have therefore provided two chest measurements, one of which is the maximum width without distorting the intended shape. 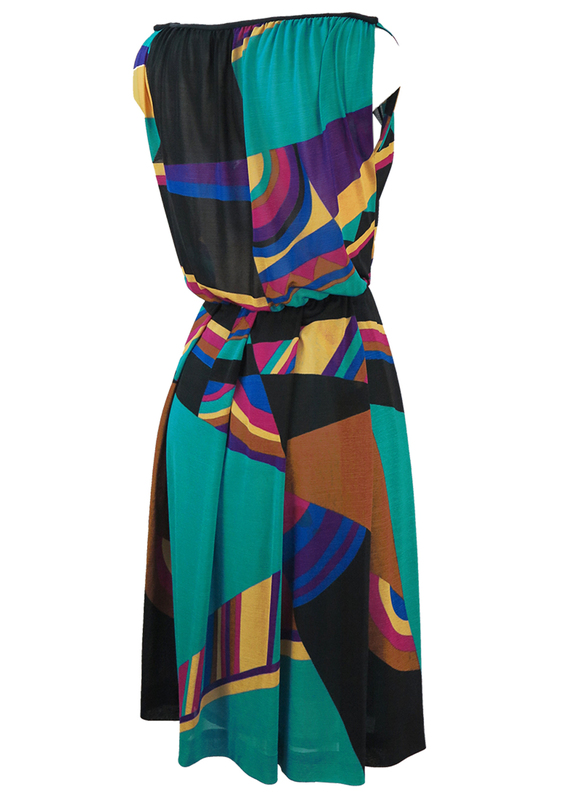 The skirt is fully lined with soft pleating detail and an elasticated waist. We have provided measurements with the waist non stretched and with a little stretch. The sizing label states an Italian 42 which we have equated to a size M – however please refer to our measurements for further sizing guidance. 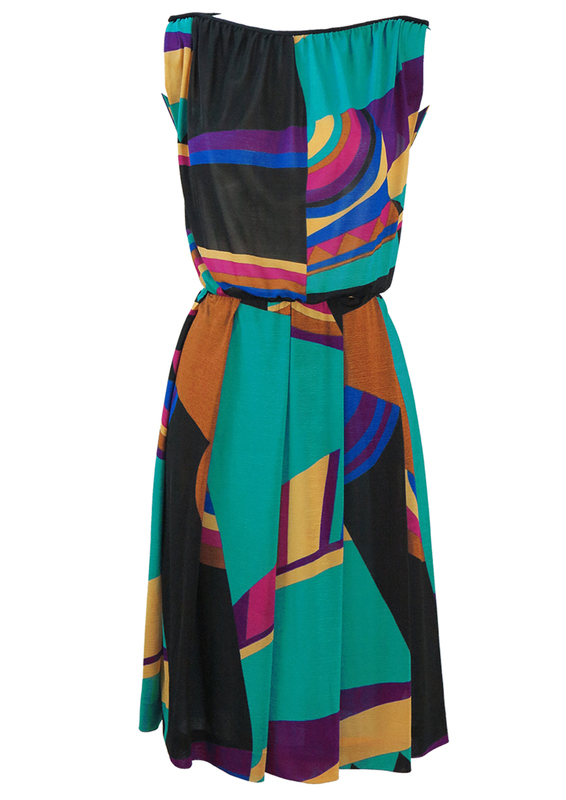 The dress is in excellent condition and although there is no fabric label we feel it is probably man made and has a lovely lightweight feel to it. A true 80’s classic!